#m- I have been inhibited to express my ideas and convey my observations, despite the ideal expressed by name of my website. I recognize that, like many people, my path in life has led me to a very specific and yet broad experience of culture, faith, science, and humanity. My challenge is that to express myself on any of my experiences, I am not an authority on the topic. I usually am not even capable of being singular in describing a particular point of view related to a specific topic. I have been intimidated by this, but am no longer. I now recognize the beauty of my age, my romantic idealism, and my willingness to put on the armor and wage my fierce Quixotic battles. 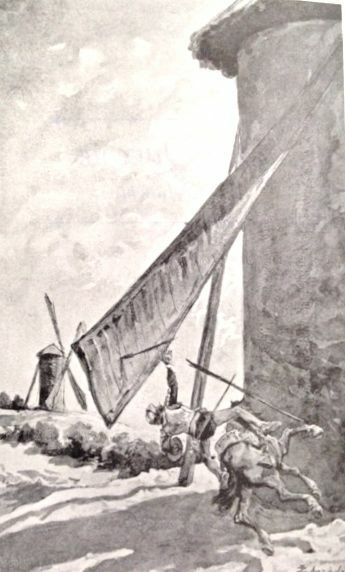 I have a hero in the brave knight of La Mancha, for he did not resist his engagement because not all around him could see the battle nor his cause. In living out his ideals, he triumphed in being himself. What more can I ask of myself. This entry was posted in Inspiration, Writing and tagged Belief, hope, ideas, inspiration, mental health, writing. Bookmark the permalink.